Do you want to make your own signature burger? It is very satisfyingly delicious and it is exclusively yours. All you have to think is what are your favorite flavors for the burger and then you need one good meat grinder. Here is step by step to make your own signature burger and not just any burger, it is a meat burger. You can choose what type of meat that you like, but for this tutorial on grinding meat into a burger, cut your choice of protein in cube first. Burgers do taste best from lamb, chicken, beef, and pork. Create your own signature taste by using your favorite meat and you can add your own flavor like adding some garlic, salt, pepper,and coriander. Beef chuck has 15 percent of fat that always be the main choice of the burger maker, but you can combine your meat with your own ingredients to create your own unique taste. This method is a good idea to help the meat hold it shape and then it will stay firm as well. A firm meat will easily go through the meat grinder. It is also preferable because working with a semi-frozen meat is a good food safety standpoint for the beginner. This tip is to make sure that the grinding process will be more successful and easy. If you don’t have a meat grinder, you still can use a manual grinder or a food processor but still have to be freeze before the grinding step. You can put the blade, grinding plate and other parts in the freezer where you freeze your meat. Like mentioned before, you can add some of your favorite ingredients into your meat. You can use garlic, turmeric, your favorite spices and also salt and pepper. 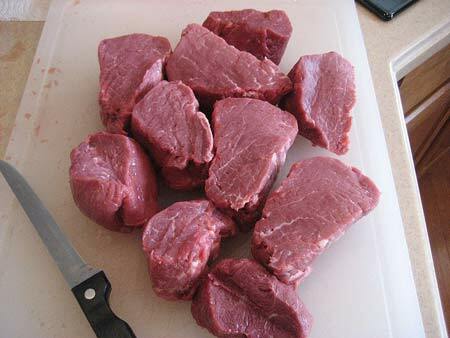 You are handling a raw meat, so it is important for you to prevent the meat from any bacteria growth by using some ice at the bottom of the bowl where your meat is in. Read the manual instruction on how to use the meat grinder. Usually, a different brand using a different manual instruction, so you have to make sure that you know how to use your grinder very well. Use the appropriate speed for grinding the meat and while you’re grinding, use the food pusher tool to push down the meat slowly into the hopper. Do it nice and slow while adding up your extra ingredients such as onions, garlic, carrots, and parsley. Do not add salt while grinding, you can add your seasoning later. It is a meat grinder and do not let your hand get into the hopper to avoid any unwanted scene. Use the proper tool and let your manual instruction on the table so you can refer to it anytime. Proud with your own accomplishment here? Thanks to your effort and the meat grinder that helping along the way. Keep it up and grind the last meat cube that you have left. 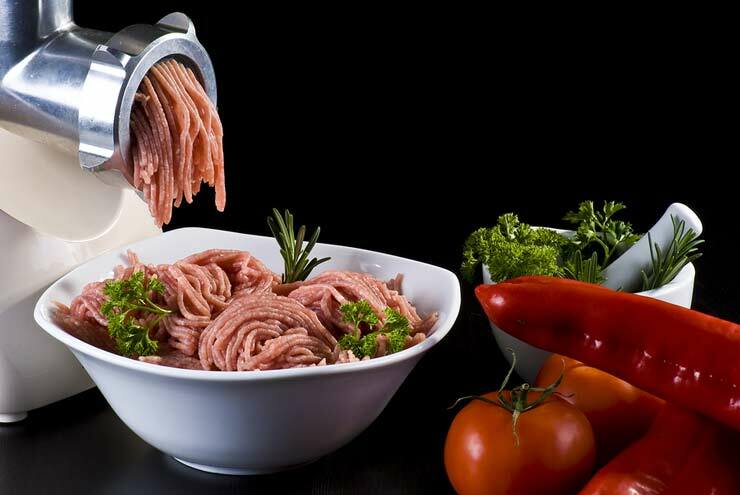 Using a meat grinder, your can ground about 2 pounds of meat cube in just 10-15 minutes according to the speed that you have. Now is the time for you to season your ground meat with salt, pepper, chili flakes or any other spices. You can add some sauce or Dijon mustard and sesame seeds. It’s your signature burger, so it is all depends on you to season it. Let the chef cry with your ultimate creation of taste. 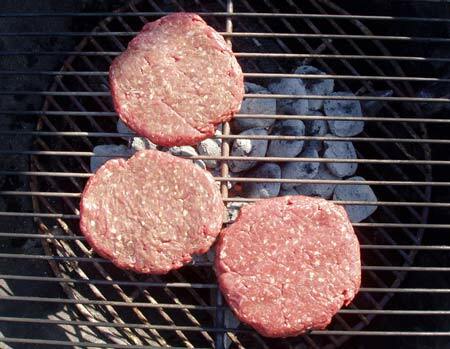 How to do it, you can shape the meat into balls and then you can flatten the ball into patties. 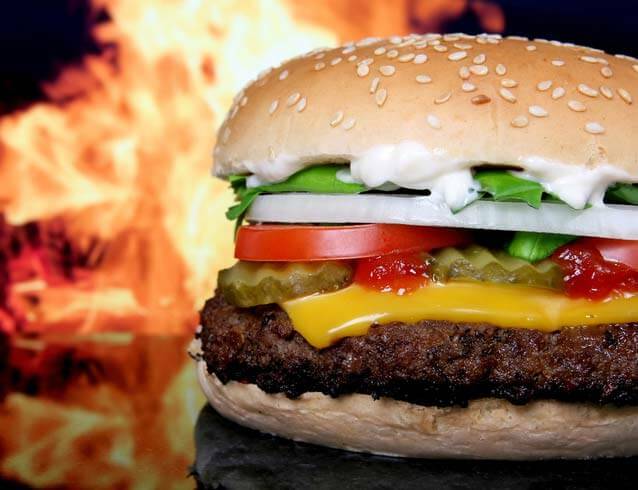 Gently form a patty because the extra pressure will leave you end up with a tough burger. Just form it gently and let it be in the size that you desired without packed the meat so tight. You can cook it on your way and remember the temperature must be 165°F in the minimum. This temperature is not only works for meat, but also for the chicken and other protein too. The burger will be moist and juicy because the dicing method in the preparation will keep the fat in the meat in such temperature. After the burger is cook and nice, you can grab your burger bun, sliced tomatoes, and cheese, and then layered it all up to enjoy. High five to your latest recipe and give your meat grinder a good cleaning before the next round of burger making.